it displays an informative message, e.g. 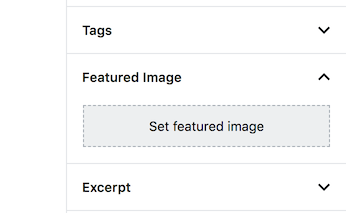 "No image selected"
However, this clickable placeholder is actually a clickable <div> element. Elements that are non-natively interactive shouldn't be used as UI controls. In the last years. 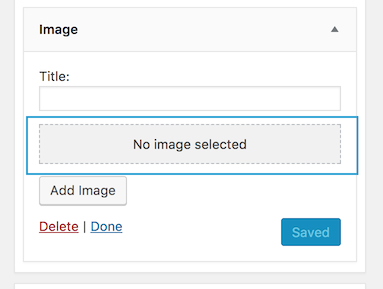 WordPress has been progressively addressing this issue across the whole admin interface, trying to use semantic and natively interactive elements instead. The introduction of clickable <div> elements in core is a regression compared to the best practices used in the last years. Additionally, it's an accessibility barrier, as these elements can only be used with a pointing device and there's no way to use them with other devices, e.g. with a keyboard. The same issue was discussed at length for the similar "placeholders" in the customizer, see #34323. There was also a ​discussion on Slack with different opinions, which highlighted how such a pattern is controversial. 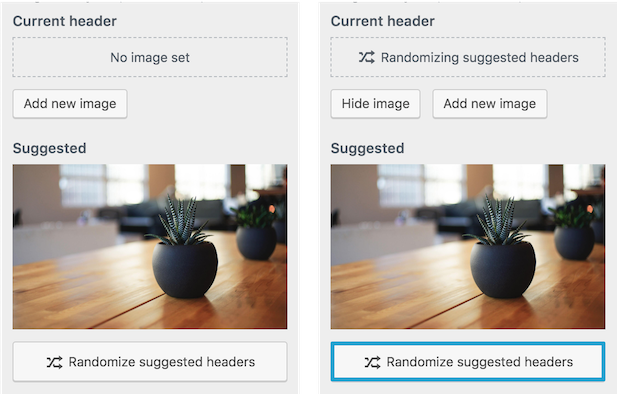 Regardless of all the feedback, suggestions, and expertise provided previously, these clickable <div> elements are now implemented in the media widgets. Worth noting they just duplicate the functionality of the "Add media" buttons placed below them. We've discussed again this pattern in a ​recent weckly accessibility meeting on Slack, and agreed on all the points previously discussed. 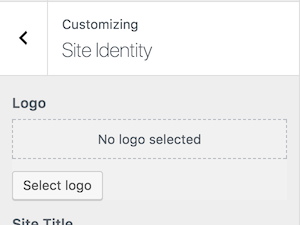 The root cause of the issue is this placeholder is visually designed to look like a clickable control. However, it's labeled just with an informative message. Since it's immediately followed by an "Add media" button that does the same thing, it's not clear why the placeholder should be clickable in the first place. As pointed out in all the resources linked above, it should be either a real button (thus, the Add Media button would be redundant) or be just text, and look like just text. 43151.diff​ (6.3 KB) - added by ramonopoly 7 months ago. Screen Shot 2018-10-03 at 6.06.15 pm.png​ (100.0 KB) - added by ramonopoly 7 months ago. Screen Shot 2018-10-03 at 6.06.59 pm.png​ (95.2 KB) - added by ramonopoly 7 months ago. Screen Shot 2018-10-03 at 6.07.08 pm.png​ (62.9 KB) - added by ramonopoly 7 months ago. 43151.2.diff​ (8.8 KB) - added by afercia 3 months ago. 43151.3.diff​ (8.5 KB) - added by afercia 8 weeks ago. 43151.4.diff​ (37.2 KB) - added by afercia 7 weeks ago. Special care should be taken when crafting the button text: it should not indicate the state (No image selected). 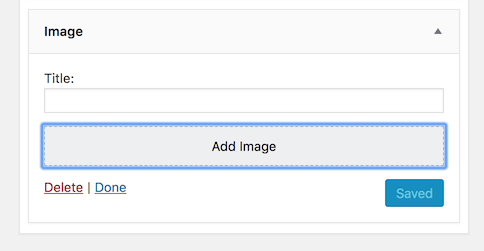 Instead, it should indicate the available action: "Select image". The only presence of the button implies the state (no image selected). It would be nice to align with the Gutenberg implementation. 43151.3.diff​ refreshes the patch. @westonruter @welcher I'd need some feedback, when you have a chance. Thanks! @afercia patch looks good to me - thanks for pushing forward on this! @welcher thanks. Does anything in the QUnit test needs to be updated? I have the feeling they're a bit out of date. Although the QUnit tests were passing, they were running on an outdated index.html file. 43151.4.diff​ updates it with the most recent versions of the widget templates.